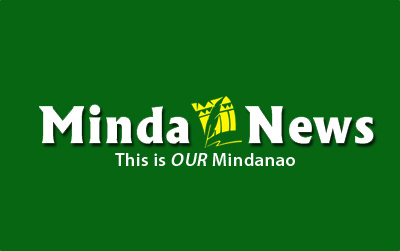 CAGAYAN DE ORO CITY, Oct. 13 (PIA) — The Philippine Information Agency (PIA) in Northern Mindanao in partnership with various government agencies, is set to hold an Asean multi-sectoral forum at the Penthouse, Gingoog City, October 17. In support of the country’s hosting of ASEAN 2017, the activity aimed to generate public awareness and understanding about the Association Southeast Asian Nations (Asean); promote appreciation of ASEAN’s development through its 50 years of existence; understand the role of government agencies relative to ASEAN; and update the public of the government’s current programs. Franklin P. Gumapon, PIA-10 officer in charge, said that the forum seeks to gather 250 stakeholders in the city composed of government employees, academe, farmers, fisherfolks, senior citizens, entrepreneurs, women, indigenous peoples, media among others. He expressed his gratitude to Gingoog City Mayor Marie Guingona for the partnership in enhancing cooperation among her constituents to Asean. Undersecretary Harold E. Clavite, PIA director general, will deliver a keynote speech during the event. The National Economic and Development Authority (Neda) will discuss the Philippine Development Plan (PDP) 2017-2022 and Ambisyon Natin 2040 at the forum. Further, Department of Trade and Industry (DTI) to present ASEAN Trade and Investment Opportunities and Philippine Drug Enforcement Agency (PDEA) on Drug Updates. Gingoog city government Magpakabana Gingoognon Alang sa Kabag-ohan (MGK) Drug program will be shown during the forum. Philippines rich history will be showcased during the cultural presentation spearheaded by the Special Program in the Arts (SPA) of the Department of Education. (EOR/PIA10).